I’ll be honest, I haven’t been this excited about Star Wars in a really long time. 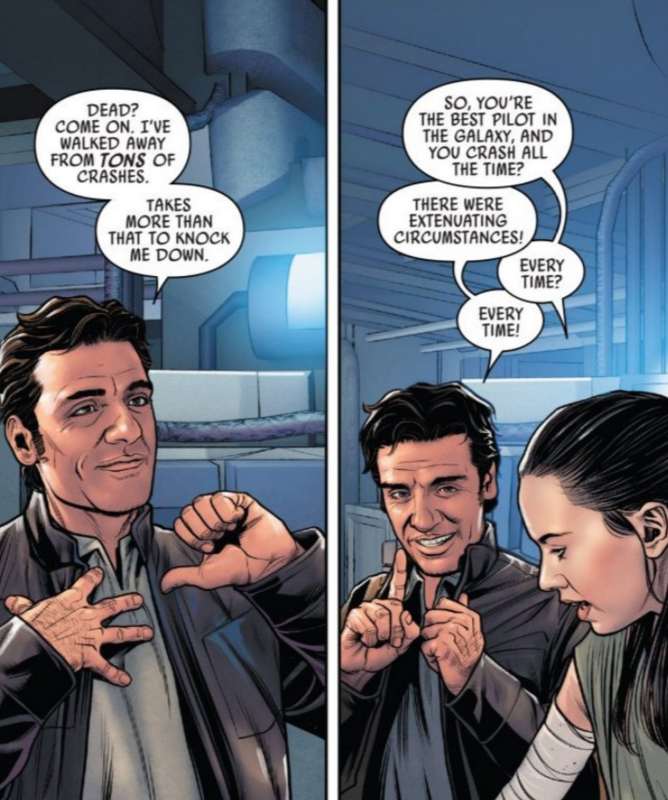 But the 26th issue of Poe Dameron, set just after the events of The Last Jedi, brought a nostalgic, lighthearted tone back into the series. Whereas Rian Johnson tore the characters apart in the last installment, we see our characters finally coming back together, and we get to witness our first real interaction with Finn, Rey, Poe and BB-8. I’ll be honest, I’m a pretty critical person. It always pays to be critical of the media we consume, but I couldn’t find one thing to be critical about in this month’s installment. There were a few surprises that I haven’t quite figured out how to feel about yet, but for the most part, this is a really solid issue. This might be partially due to the issue going back to the beginning: The Force Awakens. Overall, there’s really not too much to say about this week’s issue. 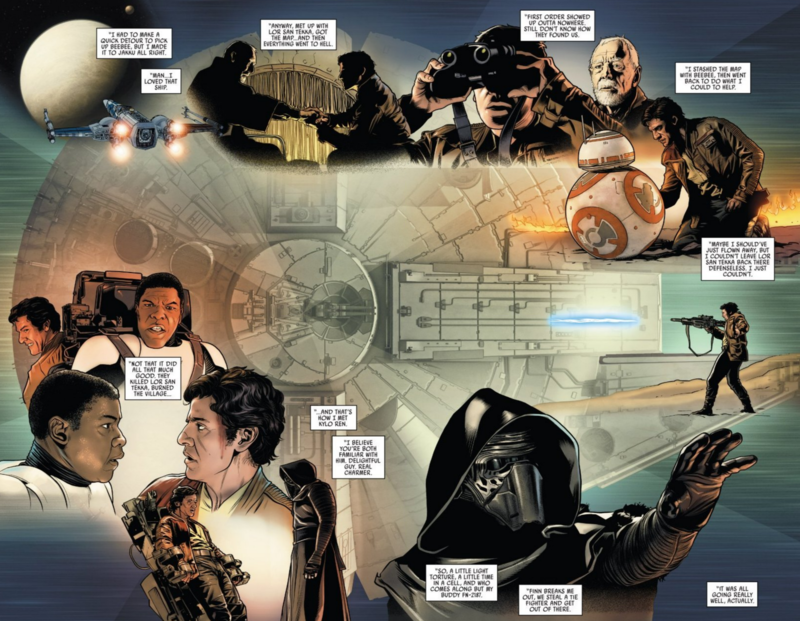 There is a lot of material that’s repeated from The Force Awakens, retold from Poe’s perspective. 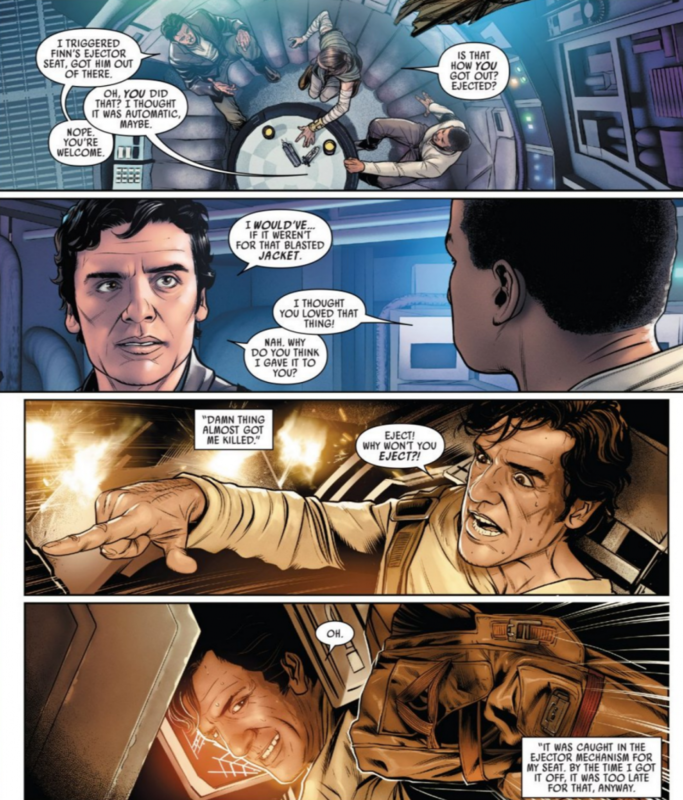 One thing that I did want to touch on is Poe’s jacket, probably one of the issue’s biggest surprises. 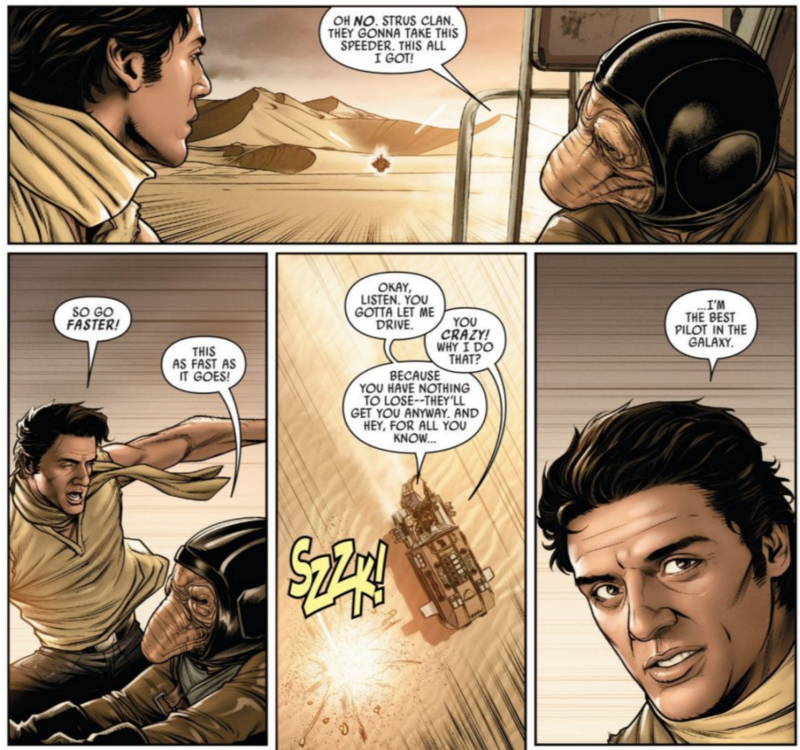 Since The Force Awakens, it’s always been accepted that Poe gave Finn his jacket as a way of thanking him for completing the mission and bringing BB-8 home safely. He even went through the trouble of patching up the jacket for Finn after he was hurt, so it’s a little hard to believe that the jacket meant absolutely nothing to him, unless he felt that the jacket meant a lot to Finn. Either way, I’d say the new jacket looks better on him anyway. 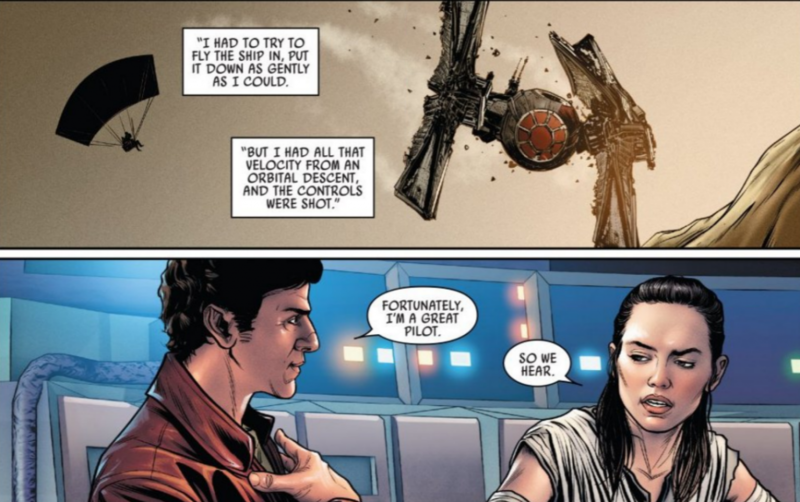 Another thing that we get from this issue is a look at Rey. She hasn’t had much time to process what Kylo Ren told her about her parents. 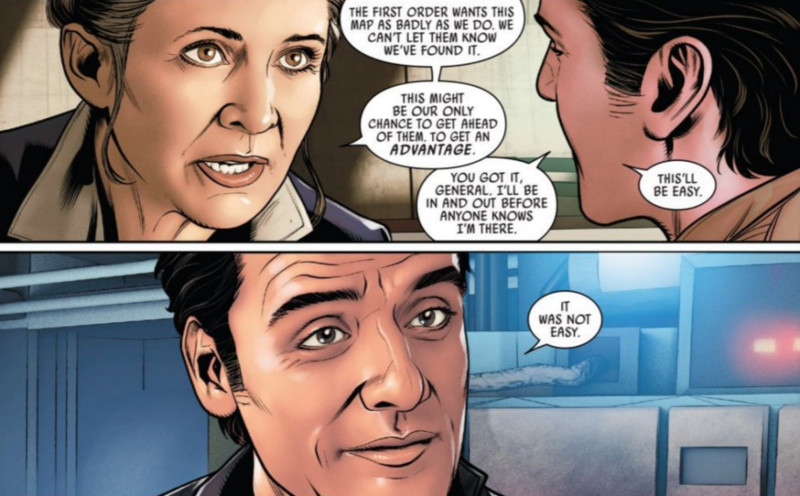 Considering how the Force bond was manufactured by Snoke, even if Kylo Ren genuinely believes that her parents are dead in a grave in Jakku, that might not necessarily be the case. After all, it doesn’t make sense for her parents to leave her on Jakku and then somehow die there. Either way, with JJ back for the last installment of this trilogy, we may get a more concrete answer as to Rey’s origins, but what’s important to consider is how Rey feels. 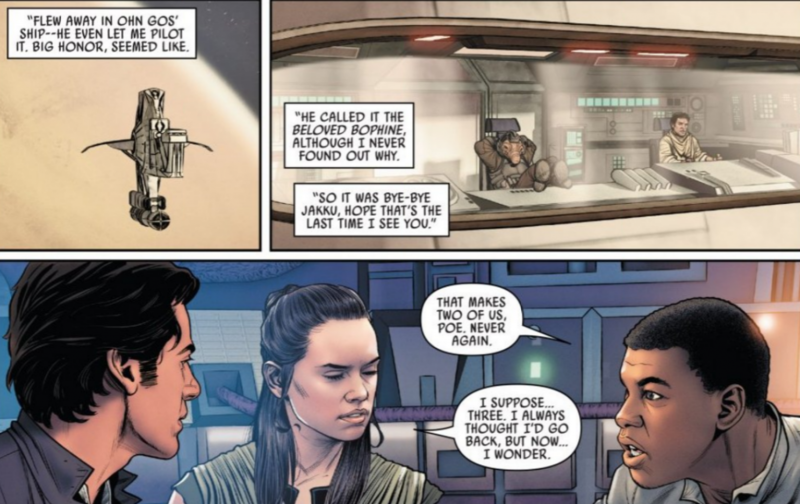 Given this small piece of information, it seems that Rey is considering that she may find a new home with the Resistance and with Finn and her new friends and leave Jakku in her rearview mirror. Although anything is certainly possible. 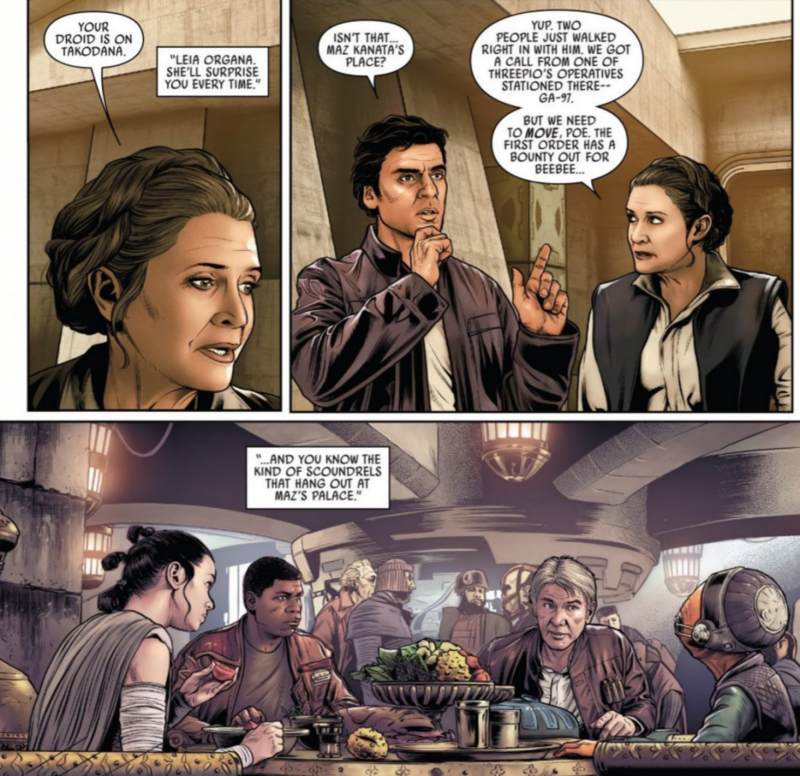 Unfortunately the issue is only the first part of a two-part series, dropping us off just before the events at Maz’s castle, which means we have to wait a while to see how the next part of the story plays out. It seems like they’re going to continue Poe’s perspective all the way through the end of The Force Awakens, which means we’ll get to see more of his perspective from the beginning of The Last Jedi. We already know from the deleted scenes that Poe only went out to meet the First Order and put himself in danger because Lieutenant Connix expressed concerns that not everyone was going to be able to get out in time, but again, that’s not something that was included in the film.